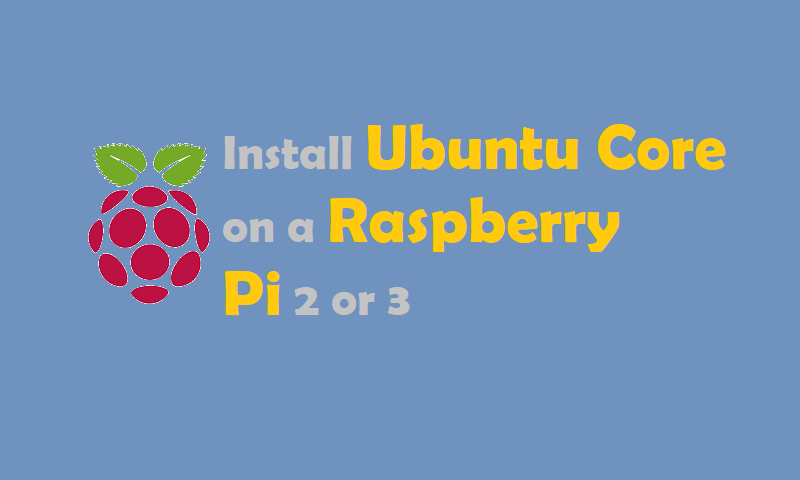 We will walk you through the steps of Install Ubuntu Core on Raspberry Pi 2 or 3. At the end of this process, you will have a board ready for production or testing snaps. An Ubuntu SSO account is required to create the first user on an Ubuntu Core installation. Start by creating an Ubuntu SSO account. Ubuntu Core 18 image for Raspberry Pi 2. Ubuntu Core 18 image for Raspberry Pi 3. You can verify the integrity of the files using the SHA256SUM and SHA256SUM.gpg files. Copy the Ubuntu Core image on the microSD card by following the installation media instructions. Attach the monitor and keyboard to the board. You can alternatively use a serial cable. Insert the microSD card and plug the power adaptor into the board. The system will boot then become ready to configure. The device will display the prompt “Press enter to configure”. Press enter then select “Start” to begin configuring your network and an administrator account. Follow the instructions on the screen, you will be asked to configure your network and enter your Ubuntu SSO credentials. This device is registered to <Ubuntu SSO email address>. Public SSH keys were added to the device for remote access. Your user name is your Ubuntu SSO user name, it has been reminded to you at the end of the account configuration step. During setup, console-conf will download the SSH key registered with your Store account and configure it so you can log into the device via ssh <Ubuntu SSO account name>@<device IP address> without a password. There is no default ubuntu user on these images, but you can run sudo passwd <account name> to set a password if you need a local console login. Your board is now ready to have snaps installed, it’s time to use the snap command to install your first snap. I hope you like this post “Install Ubuntu Core on a Raspberry Pi 2 or 3”. Do you have any questions? Leave a comment down below!